Bone Marrow Concentrate (BMC) Therapy is a regenerative medicine therapy technique that is used to help accelerate the healing process in more severe cases of tendon injuries and osteoarthritis. 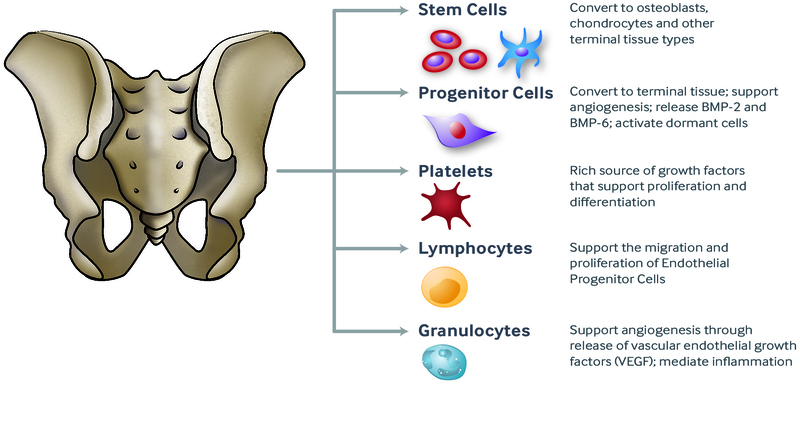 The abundance of adult stem cells within bone marrow makes it a prime candidate to harvest the stem cells needed for this therapy. Unlike other cells of the body, stem cells are "undifferentiated", meaning they are able to replicate themselves into various types of tissue. These cells are administered to the injury site to start the healing process.